The veil has been lifted: In mid-September, Volkswagen (VW) presented the chassis of its new "ID" electric model family for the first time in Dresden – and provided deep insights in its platform strategy for electric cars. The modular electric drive matrix (MEB) on which the ID chassis is based on is a unique selling proposition of VW. It also demonstrates that the automobile manufacturer intends to consistently pursue the path towards electromobility. In contrast to what has been customary on the market to date, the ID chassis is not a retrofitted platform for vehicles with internal combustion engines, but has been designed from the very start with e-drives in mind. In addition, the design and vehicle concepts are more flexible than before – the spectrum ranges from compact cars to SUVs and vans. “The ID is a milestone in technological development. It will be the first fully connected, fully functional electric car that millions of people can afford,” says Christian Senger, Head of Volkswagen Product Line e-Mobility, at the start of the "Electric for all" campaign – based on the theme: electric cars for millions of people and not just for millionaires. The ID generation is impressive with its range that is roughly on par with today's gasoline-powered vehicles. The first model to come into the market end 2019/beginning 2020, will be the ID – a four-door, fully connected compact car. Its manufacturing costs will be reduced by up to 35% compared to today's E-Golf and will be roughly in the range of the Golf diesel. The vehicle will be manufactured at the VW plant in Zwickau, which the Group is converting into the first pure MEB plant with an investment volume of €1.2 billion. A zero-emission sports utility vehicle in the style of the I.D. Crozz study will also be launched in 2020. The I.D. Buzz concept car, however, leads the way for a Volkswagen zero-emission van, whose design follows the DNA of the legendary Bulli and will be launched as a production version in 2022. The I.D. Vizzion, which is also expected in 2022, opens a window into the future of sedans. "We will make the electric car popular and inspire as many people as possible," commented Thomas Ulbrich, member of the Management Board of VW E-Mobility. "With the modular e-drive construction kit, we are fully exploiting the possibilities of the e-car and at the same time creating huge-scale economies. 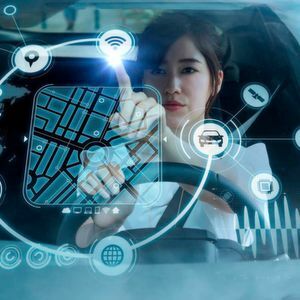 In the first wave alone, around ten million group vehicles will be based on this platform," Ulbrich adds and he considers the MEB as the economic and technological backbone of the electric car for everyone. The interior dimensions and the variability of the ID will simply rewrite class limitations. Drivers and passengers will experience a level of comfort comparable to that of the next higher vehicle class. This is made possible by the long wheelbase and the resulting short overhangs: no combustion engine that takes up space and the axles can therefore be moved far to the outside. The ID chassis reveals an e-motor that has been integrated into the rear axle and the battery that has been placed in the vehicle’s floor, among other things. According to VW, this offers optimal weight distribution for maximum driving dynamics, while providing the occupants a high-seating position. 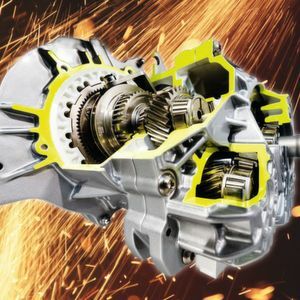 Power is transmitted from the engine to the rear axle via a single-gear transmission. Under the WLTP Standard, the scalable range spectrum for every ID model will be 330km to more than 550km with a battery capacity of between 50 and 90kWh. With the MEB, new assistance, comfort, infotainment, operating and display systems will also be integrated across all classes. This includes the augmented reality head-up display already presented in the I.D. study which projects information such as visual cues from the navigation system into the virtual space in front of the vehicle. This technology could not be integrated without the new platform. In order to control the diverse functions on board the ID models, VW developed the completely new end-to-end electronic architecture, called "E3", as well as the new operating system "vw.OS" (OS = operating system). The new "E3" architecture consolidates the control units known today to create a much more powerful, centralised process or unit. It enables updates and upgrades of the systems via the cloud throughout the entire life cycle of the vehicles. VW is also taking the offensive in the area of charging infrastructure. The Ionity joint venture is an important building block in this process. In co-operation with BMW, Daimler and Ford, VW is looking to set up a reliable network of powerful rapid charging stations along European highways. By 2020, 400 such stations should be in operation as "filling stations of the future". At these charging points with an output of up to 125kW, the batteries of the ID models are charged from zero to 80% in just 30 minutes. According to VW, around 25% of charging processes are likely to take place on the road at public rapid charging stations and around five percent along motorways. VW also wants to offer a modular range of wall boxes that can be installed at home in the carport or garage or in company car parks. While a vehicle is charged at 2.3kW via the standard 230V grid, the wall box will allow the ID and other models to be charged at a rate of up to 11kW (AC). VW also plans to produce wall boxes that offer 22kW (DC) charging capacity and work in a bi-directional manner, i.e., also allowing energy to be supplied to the grid. A design prototype of the "Volks-Wallbox" was presented in Dresden, the basic version of which is to cost around €300, without installation costs. The heart of an electric car is the battery. 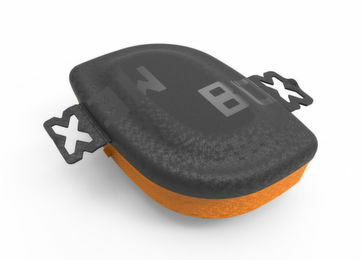 The MEB batteries are constructed as follows: The lowest level is a solid collision protection. Above this is the aluminum battery housing with a crash frame, integrated battery cooling and a connection box for the high-voltage and low-voltage vehicle electrical systems (AC, DC and 12V). The newly developed MEB cell modules, which consist of individual battery cells, are inserted into the battery housing. The cell controllers (CMCe) – control units for monitoring the cells (voltage, currents and temperature) and cell balancing (ensuring equal load of the cells in daily operation) – are installed in the longitudinal member of the battery housing. The battery electronics (BMCe) are integrated in the rear part of the battery system as a further control unit. 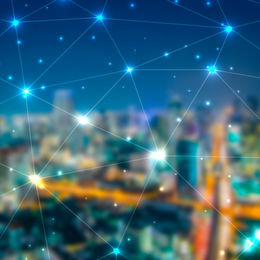 The cell modules are networked with each other via so-called cell module connectors; measuring lines communicate with the battery electronics. The battery housing is closed at the top with a cover that can be easily removed for possible maintenance. 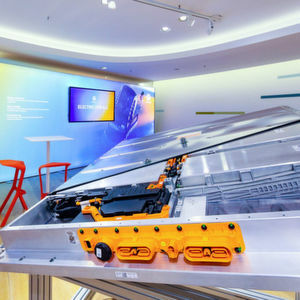 Since both the "pouch" and "prismatic" designs can be used as cell types, VW speaks of a high degree of flexibility in its co-operation with cell suppliers. The cell quotas for the first wave of the ID family with LG Chem and Samsung have been secured until 2026. A maximum packing density within the cell modules achieves the highest energy density. It will continue to rise in the coming years. In addition, there could be another breakthrough in the second half of the next decade with the use of solid cells. Most VW locations in Germany are involved in the development and production of the first MEB-based electric cars, including the component plants in Braunschweig, Salzgitter and Kassel. At these three locations, the OEM is investing €1.3 billion out of a total of €6 billion for electric mobility. The ID is being developed by the E-Mobility series and by the research and development department at the Wolfsburg headquarters. 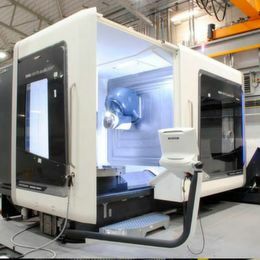 It is also being built here as a pre-series model in the pilot hall and extensively tested on the Ehra-Lessien test site. The production models of the ID family will be built by VW in Saxony. With an investment volume of over one billion euros, Zwickau will be converted into the first pure MEB plant and the largest competence centre for electromobility in Europe. By spring 2022, around 1,500 electric cars are to roll off the production line in Zwickau every day – today it is only 350 vehicles a day. The new VW E-Golf has been built at the Transparent Factory in Dresden since April 2017, which is transforming into a "Centre of Future Mobility". Customers and visitors can enjoy an interactive encounter with e-mobility and digitalisation to discover more about the future of mobility. The heart of the ID, the battery system, will be manufactured in Braunschweig. This long-standing location already builds the batteries for the E-up!, the E-Golf and the plug-in hybrid Passat GTE. Braunschweig is the battery and packaging specialist with extensive know-how in power electronics, air conditioning and software management. The plant is currently being expanded to produce up to half a million battery systems per year in the future. 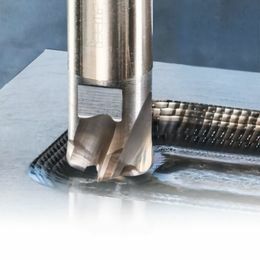 This year, the Salzgitter plant will start pre-series production of the rotor and stator for the MEB. At the Battery Cell Center of Excellence (CoE), development and manufacturing expertise for battery cell and battery module production is being built up. This currently includes a lab line to be followed by the pilot production with a view to building up production know-how. Finally, the Kassel plant has been functioning as a competence centre for electric drives for many years. Production of the completely new MEB drive will start at the end of this year. All in all, however, the modular e-drive system not only forms the technical matrix for all VW ID models, but also for many electric cars of the Audi, Seat, Škoda and VW Commercial Vehicles Group brands. "The MEB electrical construction kit is probably the most important project in VW's history, just like the transition from the Beetle to the Golf. By the end of 2022, we will be starting production of 27 MEB models worldwide for four Group brands, ranging from compact cars to lifestyle vans. This is unique in this form," Ulbrich sums it up. 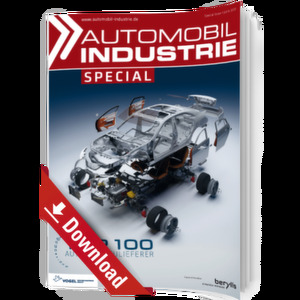 This article first appeared on www.automobil-industrie.vogel.de.